I have just returned from spending almost six weeks in Spokane,Washington. I was invited for the High Holyday period to lend support to a colleague recovering from cancer treatment. The congregation consists of about 200 families which occupies a beautiful synagogue structure and spacious educational building containing the most up to date equipment and convenience. For the first time in my life, I was exposed to the beauty, spaciousness and grandeur of America's west. It was nothing less than a religious experience.The sea of evergreens, the majestic moutain tops, vast stretches of seared yellow fields which wave in the summer winds bursting with wheat stalks to feed a prosperous America, and luscious lakes and rivers bubbling with salmon making their inexorable journey to their destined end, the fisherman's hook and nest. This is the crown of beauty which drapes the fortunate citizens of this blessed country. The gem in this crown is the Jewish community of Spokane. The only significant Jewish presence in a radius of hundreds of miles in either direction-Seattle being 300 miles away on the west and Minneapolis, over a thousand, on the east. One could say that this community is indeed a lonely one. Ironically, its isolation is its strength. Never before had I felt the utter value of each and every member of the community. The larger numbers elsewhere leave the impression that each resident in the community is easily replaceable by the many others. In Spokane the individual is a dominant factor in creating community. The need for one another is inescapable and imperative so that everyone recognizes the importance of everyone else. During services, Hebrew school classes and assemblies, one could not ignore the powerful sense of family that infuses this community. The shared intimacy and closeness was readily offered to me as everyone opened their hearts, hands and homes to me without restraint or reservation. I quickly felt at home and consider Spokane and Temple Beth Shalom as another of my cherished Jewish homes on my particular journey through life. I pray for their well-being, their Jewish growth and their continued gratitude for every single member of their extended family. “Good morning!” she said cheerfully. It was my turn to check throughmy products at the A&P and the cashier's greeting seemed natural andspontaneous. I answered in kind, smiling and friendly. A pause was followed by: “When I get up I say 'thank you, Jesus, for another day'! The transaction was completed, I wished her a good day and I was on my way. A smile stuck to my face as I thought about the brief encounter. Different theology, same humanity.Different ethnic group-she, Afro-American, me-Jewish caucasian-same heart! Perhaps in fact gratefulness is the unifying spiritual sensibility this world so desperately needs. I was blessed with another moment of gratitude sharing which brightened my day. I thank You-Modeh Ani! Almost two months have elapsed since my last posting on gratefulness. Let me explain.I still have much for which to be grateful! 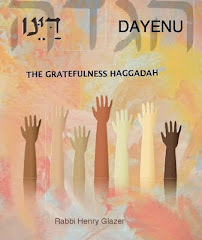 I have been preoccupied in finalizing my work on the Passover Haggadah-Dayenu, which should become available in print within the next few weeks. Concurrent with this has been my engagement in preparing a work on the Sabbath as a day of gratefulness, dedicated to our Rebbe, Abraham Joshua Heschel. 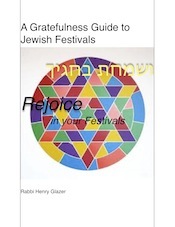 In addition, I have been exploring ways by which to understand the Jewish festivals as occasions of sacred gratitude and have completed "A Gratefulness Guide to the Jewish Festivals". 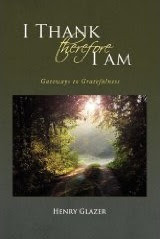 These works include much color, illustration and images so as to enhance our sense of gratitude in considering the meaning of these sacred times in our lives. 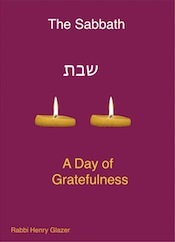 Finally, I am convinced that the essence of prayer is praise and the expression of gratefulness and from this premise I am working on a prayer book, a siddur, which I title-the Modeh Ani Siddur-modeh ani," I thank," being the first words pronounced by the Jew upon awakening. 5. 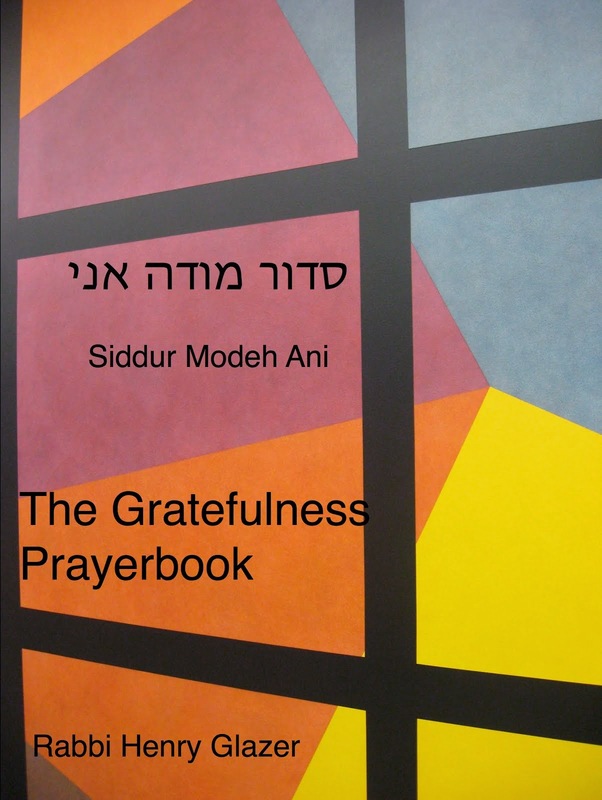 Siddur Modeh Ani-The Gratefulness Prayer Book. Meanwhile, my heart is filled with gratefulness for the opportunity to devote my time and energy to what I consider this holy task. With much gratitude to you who share in my spiritual path.